Sir Anthony (Antoon) van Dyck (*March 22, 1599 - December 9, 1641) was a Flemish painter — mainly of portraits — who became the leading court painter in England. He was also a master of etching. Van Dyck was born in Antwerp and became an independent painter in 1615. In his younger years, he was the chief assistant of Peter Paul Rubens. In 1620, he came to England for the first time but did not succeed in getting presented to King James I. After four months he returned to Flanders. He then went to Italy where he remained for 6 years studying the Italian masters and laying the foundations of his career as a successful portraitist. In 1627, he went back to Antwerp where for some years he painted a host of masterpieces. His reputation reached the ears of Charles I of England who recalled him. 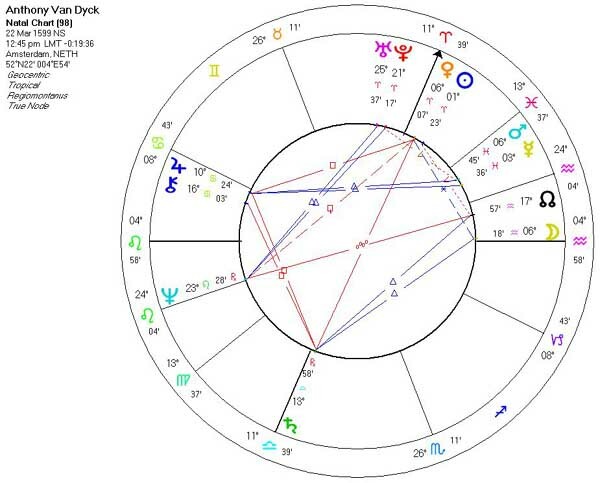 In 1632, Van Dyck again arrived in London. His success in England was rapid. He painted portraits of King Charles, Queen Henrietta, the king's children, and countless personages at court in addition to iimages of himself and his mistress, Margaret Lemon. In the latter part of his life he only gave finishing touches to the portraits which were for the most part painted by his pupils after his own designs. He was charming to his patrons, which added to his ability to obtain commissions. In July 1632, he was knighted, and in 1633 elected painter to the king. He received a considerable pension and married the daughter of Lord Ruthven. In 1634, he took a short journey to Antwerp, and in 1641, another one to France. 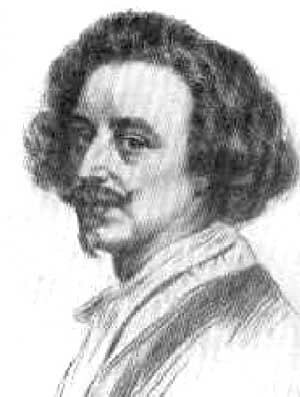 Anthony van Dyck died in 1641 in London, and was buried in St. Paul's Cathedral. Van Dyck had a great influence on English portrait painting. Therefore, some scholars call him the founder of the English school of painting. some extent in his shadow. among the noblest examples of their genre. 9 December 1641 and was buried in old St.\ Paul's Cathedral. history painter were insufficient to compete with those of Rubens. 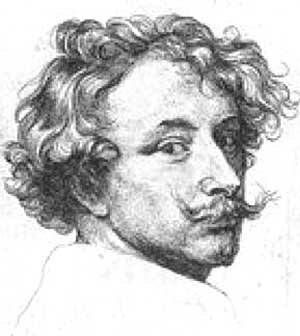 Anthony van Dyck (Antonis van Dijck) is one of the greatest Flemish painters. He was born on the 23rd of March, 1599 in Antwerp, 7th child in the family of a well-to-do silk merchant Frans van Dyck. After the early death of his mother he, at the age of 10, was sent to be trained by painter Hendrick van Balen in his workshop. In 1615, he already had his own workshop and an apprentice. In 1618, he was accepted as a full member of the Lucas Guild of painters. 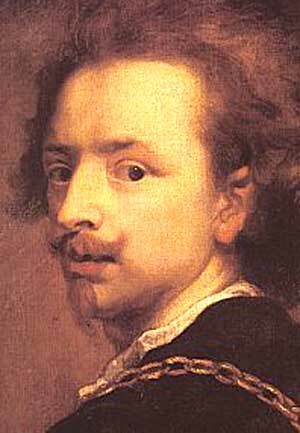 In 1618-1620, Van Dyck was working with Rubens as his pupil and assistant. He took part in the painting of the Jesuit Church in Antwerp. Also he painted such religious works as Samson and Delilah (1620), The Crowning with Thorns (1620), Judas' Kiss (1618-1620), St. Martin Dividing His Cloak (1620-1621) and portraits: Frans Snyders (1618), Margareta de Vos (1618), Family Portrait (1621) and several known self-portraits. Although Van Dyck was with Rubens little more than two years, the older master's style affected his own indelibly. Van Dyck left London in February, 1621 and after staying 8 months in Antwerp, he arrived in Italy by the end of 1621. He spent 6 years in Italy, staying mostly in Genoa and traveling to Rome, Venice, Turin and Palermo, studying and copying the Venetian masters - Tintoretto, Veronese, and particularly Titian, whose works influenced him greatly. He earned his livelihood by creating portraits especially of the Genoese aristocracy. The most notable portraits were George Gage, Looking at a Statuette (1623), Cardinal Bentivolo (1622-1623), Lucas van Uffeln (1622), Elena Grimaldi, Marchesa Cattaneo (1623), Paola Adorno, Marchesa Brinole-Sale with Her Son (1626), Giovanni Vincenzo Imperiale (1626). Also he was commissioned to paint some pictures for the Church Oratorio del Rosario depicting St. Rosalia, the patroness saint of Palermo. Other well-known religious picture of this period are Susanna and the Elders (1621-1622), The Four Ages of Man (1626), The Tribute Money (1620s). In 1632, Charles I invited Van Dyck to England to be a court painter. He was knighted, rewarded with the generous annuity of £200 and lavished with gifts. Sir Anthony van Dyck was crucial to Charles I: his portraits were designed to support the King in his claim to be absolute monarch. Other artists painted Charles, too, but it is Van Dyck's image of this melancholic, doomed King that is remembered in history. Van Dyck painted 37 pictures of Charles I and 35 of his Queen Henrietta Maria. The best of them are Equestrian Portrait of Charles I, King of England with Seignior de St. Antoine (1633), Queen Henrietta Maria with Sir Jeffrey Hudson (1633), Charles I, King of England, at the Hunt (1635) Charles I, King of England (1636), Charles I, King of England, from Three Angles (1636), Children of Charles I (1635), Equestrian Portrait of Charles I, King of England (1638). Van Dyck become a celebrated portraitist of the English court and aristocracy. In less that 10 years he created over 350 pictures, including royal portraits. His best portraits are Philip, Lord Wharton (1632), George Villiers, 2nd Duke of Buckingham and His Brother Lord Francis Villiers (1635), Thomas Howard, 2nd Earl of Arundel and Surrey with His Grandson Lord Maltravers (1635), James Stuart, Duke of Lennox and Richmond (1637), Lord John Stuart and His Brother Lord Bernard Stuart (1637), George Digby, 2nd Earl of Bristol and William Russell, 1st Duke of Bedford (1637), Princess Mary Stuart and Prince William of Orange (1641). Sir Anthony van Dyck was a Flemish painter who was one of the most important and prolific portraitists of the 17th century. 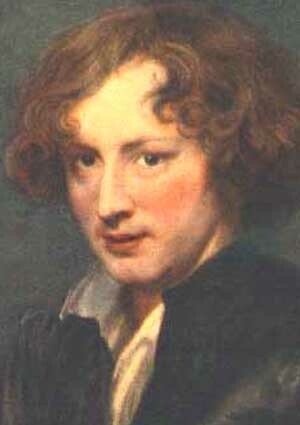 He is also considered to be one of the most brilliant colorists in the history of art. Van Dyck was born on March 22, 1599, in Antwerp, son of a rich silk merchant, and his precocious artistic talent was already obvious at age 11, when he was apprenticed to the Flemish historical painter Hendrik van Balen. He was admitted to the Antwerp guild of painters in 1618, before his 19th birthday. He spent the next two years as a member of the workshop of the Flemish painter Peter Paul Rubens in Antwerp. Van Dyck's work during this period is in the lush, exuberant style of Rubens, and several paintings attributed to Rubens have since been ascribed to van Dyck. From 1620 to 1627 van Dyck traveled in Italy, where he was in great demand as a portraitist and where he developed his maturing style. He toned down the Flemish robustness of his early work to concentrate on a more dignified, elegant manner. In his portraits of Italian aristocrats—men on prancing horses, ladies in black gowns—he created idealized figures with proud, erect stances, slender figures, and the famous expressive “van Dyck” hands. Influenced by the great Venetian painters Titian, Paolo Veronese, and Giovanni Bellini, he adopted colors of great richness and jewel-like purity. No other painter of the age surpassed van Dyck at portraying the shimmering whites of satin, the smooth blues of silk, or the rich crimsons of velvet. He was the quintessential painter of aristocracy, and was particularly successful in Genoa. There he showed himself capable of creating brilliantly accurate likenesses of his subjects, while he also developed a repertoire of portrait types that served him well in his later work at the court of Charles I of England. Back in Antwerp from 1627 to 1632, van Dyck worked as a portraitist and a painter of church pictures. In 1632 he settled in London as chief court painter to King Charles I, who knighted him shortly after his arrival. Van Dyck painted most of the English aristocracy of the time, and his style became lighter and more luminous, with thinner paint and more sparkling highlights in gold and silver. At the same time, his portraits occasionally showed a certain hastiness or superficiality as he hurried to satisfy his flood of commissions. In 1635 van Dyck painted his masterpiece, Charles I in Hunting Dress (Louvre, Paris), a standing figure emphasizing the haughty grace of the monarch.